Iowa Workforce Development (IWD) in partnership with the Iowa Economic Development Authority (IEDA) have agreed to finance a Laborshed Study for one community in every county across the State of Iowa – FREE to local economic development organizations and their partners. A Laborshed Study is based upon the commuting area of a particular employment center. Each county’s largest employment center will be selected as the focus of the study conducted in that county. A Laborshed Study is unlike any other readily available labor market information. It is produced on the local level through primary data collection. After the commuting pattern for a particular city/community is defined (through a survey of local employers) a residential survey is conducted into the communities that are determined to be the largest contributors to that city’s workforce. This survey gathers information regarding the skills, education, availability, wages and benefits (both current and desired), job search resources used, distance willing to commute and many other factors that relate to that area’s true labor pool. 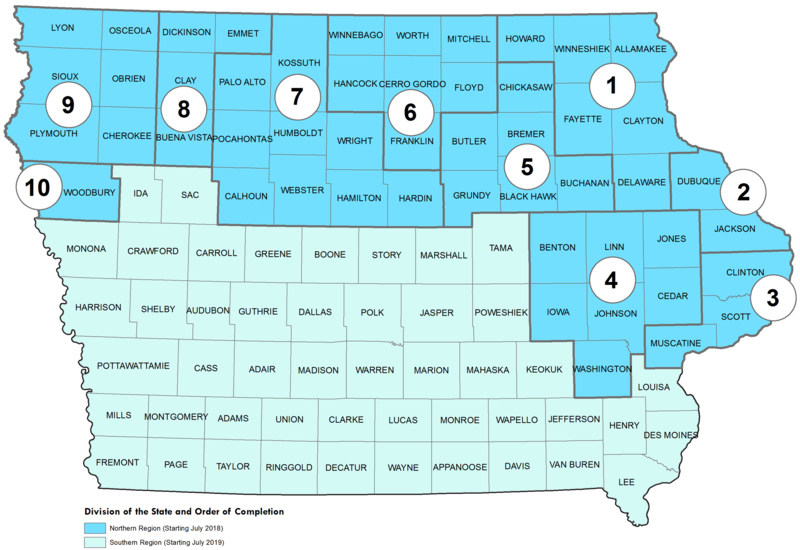 Due to the data collection methods used, the workforce information provided in a Laborshed Study is not restricted by political boundaries such as county or state lines (as many other sources are). The results of the studies more accurately define the scope and scale of a community’s Laborshed area (i.e. the area that contributes to a community’s workforce). In addition, the Laborshed Study is a supply-side data source. It focuses on the characteristics and availability of labor in an area rather than the many available demand-side resources which focus on current and forecasted employment levels and employer needs. Laborshed Studies also give insight into potential pockets of available labor that are not analyzed elsewhere such as: those who are currently employed but likely to change employment, along with those who are currently not employed (the unemployed, homemakers, and retirees) but are likely to re-enter the workforce. Deeper-dive analysis is available as well; labor availability reports for a particular industry or set of occupations can be produced for an area to show the concentration level of residents in the Laborshed area that have current or past experience working in a selected industry or occupation. Among other things, these reports provide labor estimates, employment status, a list of job search sources these individuals use (including specific websites and newspapers) and the wages employers in that area pay to staff those positions. IWD and IEDA are pleased to be able to finance these studies across the state. The information gathered will provide each area a current and consistent data source to use in supporting new and existing business projects. To successfully complete this project, Laborshed Studies will be completed for half of the state in year one (beginning July 2018), with the other half of the state to be completed in year two (beginning July 2019). After that, the rotation will continue and each county will receive a new study every other year. For this purpose, the state will be split into two regions (north and south). Year one will begin in the Northern region. IWD will continue to conduct these studies in sets or groups that reflect the State’s economic development marketing regions. The statewide breakout map below indicates the order in which these groups of studies will be completed. IWD will also reach out to local economic development organizations when the study is about to begin in their area. Each set of studies will take approximately 3-6 months to complete. You can look forward to a new delivery system and format of the data collected which is currently in development.